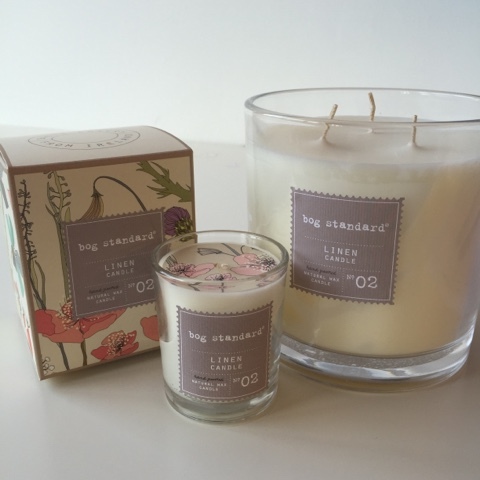 It was only a matter of time before I secured some gorgeous Bog Standard candles to give away here on the blog and the good news is that I'm going extra large. I've got two Extra Large, 3-Wick candles to give away. One in our seasonal fragrance - Winter (below) and a second in our bestselling Linen fragrance (above). So there are two chances to win. Our 3-Wick candles have a 90 hour burn time - really filling a big room with scent, making them perfect for hallways and kitchen/living open spaces. Though there is a knack to burning them - especially the first time and I've blogged about it on this link...it's all about getting the first burn right. To be in with a chance of winning one of these gorgeous candles worth £32.95 each, simply follow the instructions on the Rafflecopter widget below. The completion will run until midnight on Sunday 4th December and I'll contact the winners by email on Monday 5th, as well as announcing their names here. a Rafflecopter giveaway Thanks for entering and for supporting both my blog and my new employers....it really does mean so much to me. Oh and GOOD LUCK! It's a tough choice but I think it would have to be winter! Anything to cover up the delightful aroma of wet dog! 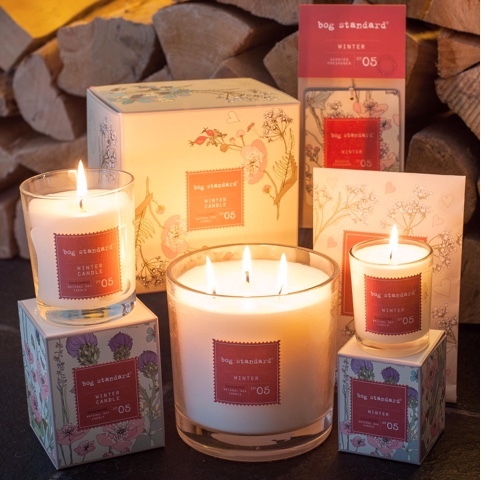 Adore Bog Standard candles and would love the Winter scent especially to cosy up my home for Christmas...it's all about the simple pleasures! Winter would be my choice! I'd chose the Winter fragrance. Definitely Winter, I yearn after those warming spicy scents even in summer. I would love to try the Winter fragrance. Tough choice...but think it would be linen. I'm burning the Winter at the minute so would love to try the Linen please. I would really love to try the Winter scent! I would love the Linen I love fresh scents. I honestly couldn't choose! Love scented candles. I have different scents for different rooms. I'd choose the winter fragrance. I think that I would choose the linen fragrance - classic. I love the sound of both the descriptions so I would like either but as it's winter, I'd choose that. Will choose the winter scent. Winter scent, tis the season!